When sudden truck trouble stops you in your tracks, rest easy that our mobile truck repair professionals are around for commercial truck repair that gets you going again. Get our mobile equipment repair and welding services to have your heavy equipment up and running within no time. We take care that our mobile trailer repair offers not just a temporary fix to your semi trailer repair and other trailer repair needs, but resolves the specific trailer problem for good. Stressed about getting your broken truck or trailer towed to the repair shop? When your class 7 or class 8 truck suffers a breakdown, don't panic. Call Foothills Truck and Trailer for mobile semi truck repair services that quickly put your truck back on the road. The extensive experience of our mobile semi truck repair technicians has seen them successfully fixing diverse problems in class 7 and class 8 trucks. You can confidently trust your semi truck repair needs to us and expect semi truck repair done to the highest degrees of precision. 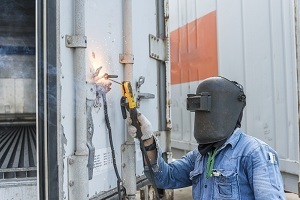 We pride ourselves on high-quality mobile trailer repair services. Our outstanding workmanship remains unaffected by client profile, the size of the job or complexity of the required trailer repair. 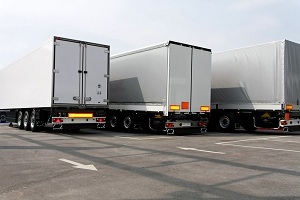 Our knowledgeable technicians are trained in handling any major or minor trailer repair issues. We support our team with cutting-edge diagnostic and repair tools and top-notch replacement parts to ensure that you receive the finest trailer repair services possible. Need heavy equipment repair for your broken equipment? Call us. We provide onsite heavy equipment repair and welding services. Stalled heavy equipment can hamper your business. Immediate heavy equipment repair can become difficult due to practical problems in hauling the equipment to a heavy equipment repair shop. 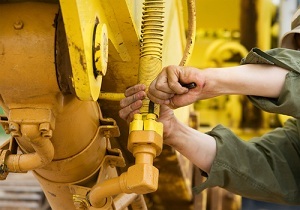 Our mobile heavy equipment repair services offer the ideal solution. We send heavy equipment repair professionals to you, offering the convenience of getting heavy equipment repair right where your stalled equipment is. Call Foothills Truck and Trailer at (253) 261-9340 for reliable and affordable mobile semi truck repair, trailer repair and heavy equipment repair services.